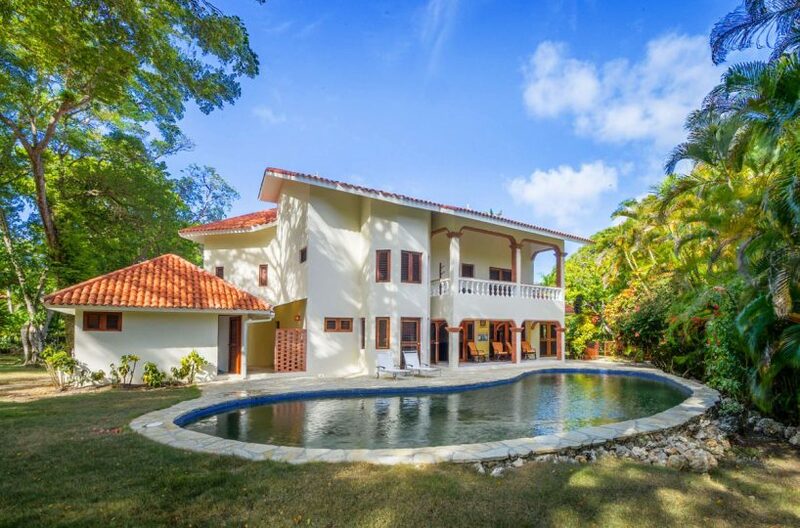 Casa Colonial is a luxury 4 bedroom villa with creamy marble floors, vaulted natural wood ceilings and gorgeous wrought iron work. 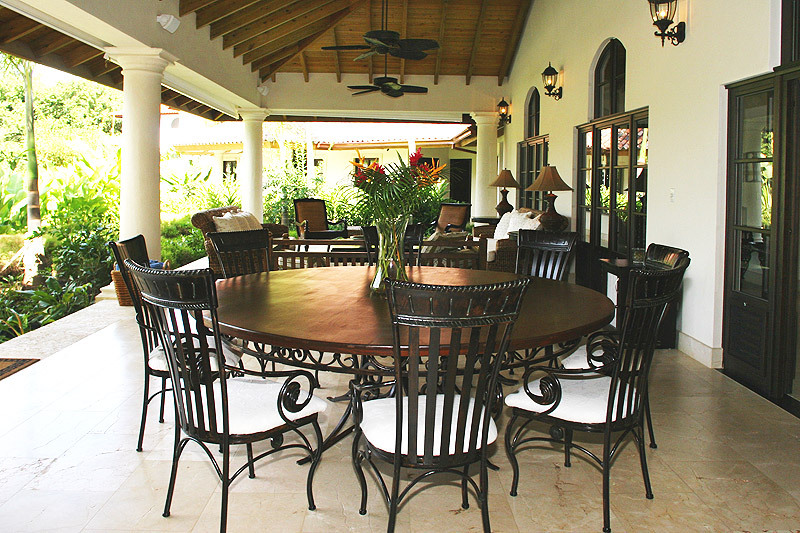 Casa Colonial has two guest wings and extensive indoor and outdoor living areas. 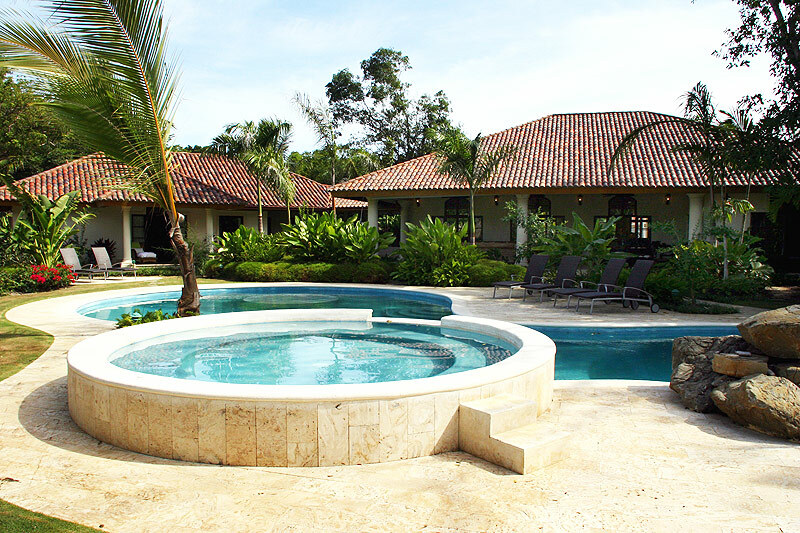 It boasts the largest pool of any rental villa at Sea Horse Ranch. 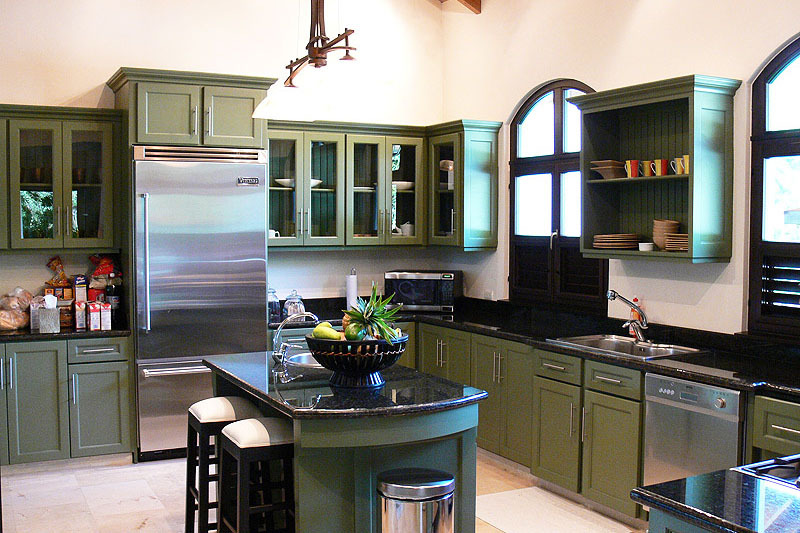 The beautiful interior with its garden vistas creates a serene and rejuvenating living experience scarcely found elsewhere in the world. Soak in a relaxing, candle-lit, sunken bath. 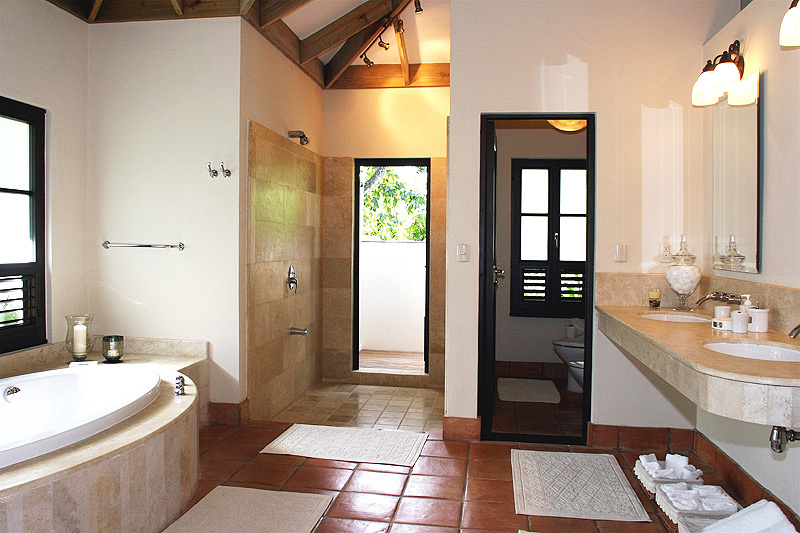 Cleanse in the indoor marble shower or under the stars in the outdoor shower in the two master suites. 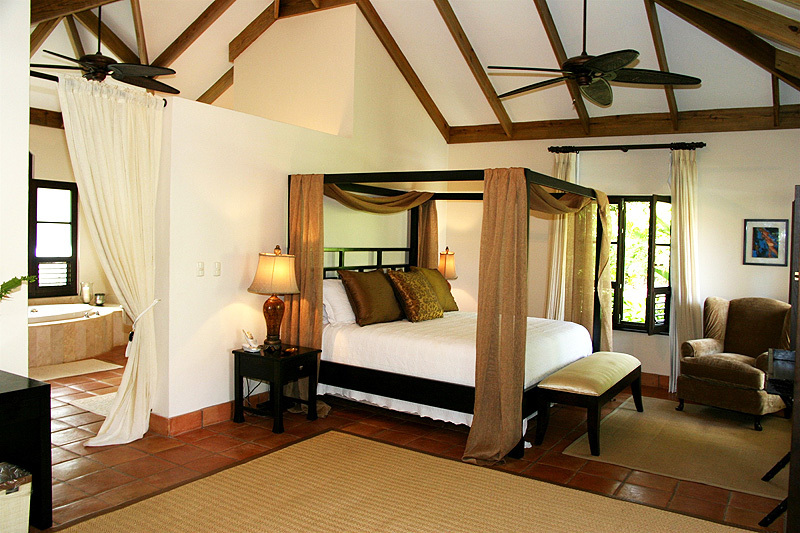 Follow a great night’s sleep in a rich, dark wood, king-size bed with coffee on your private master terrace facing the pool. 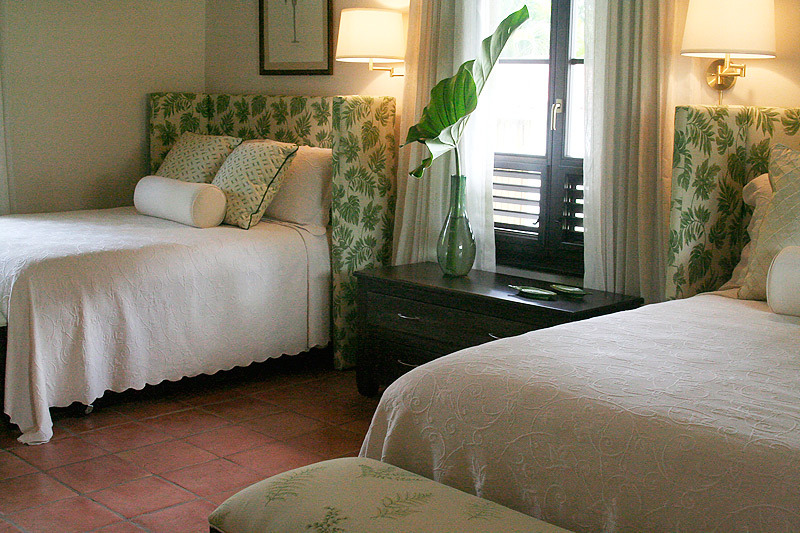 Those staying in the guest suites will be happy in 2 queen-size, sea-grass sleigh beds in one and queens with luxurious upholstered headboards in the other – both have ample teak and marble bathrooms. 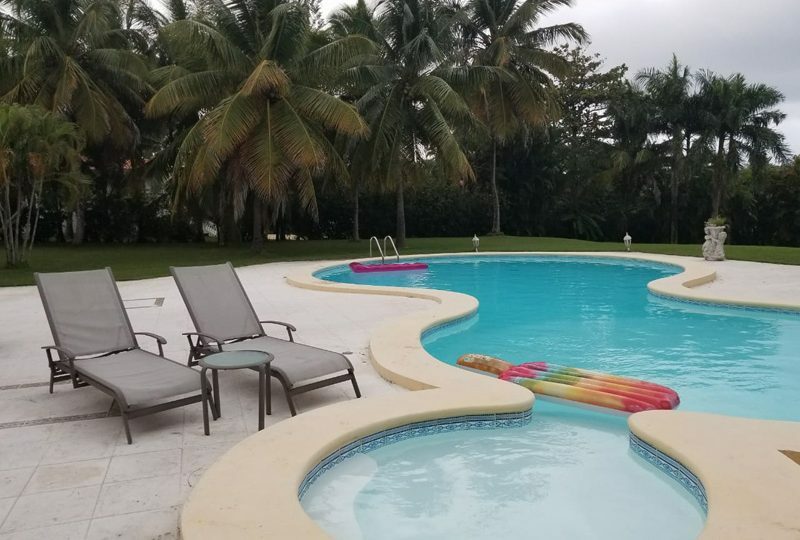 All bedrooms have air-conditioning, flat screen televisions, double vanity bathrooms, walk-in cedar closets and luxurious Mexican tiled floors that cool the feet after a day in the sun. 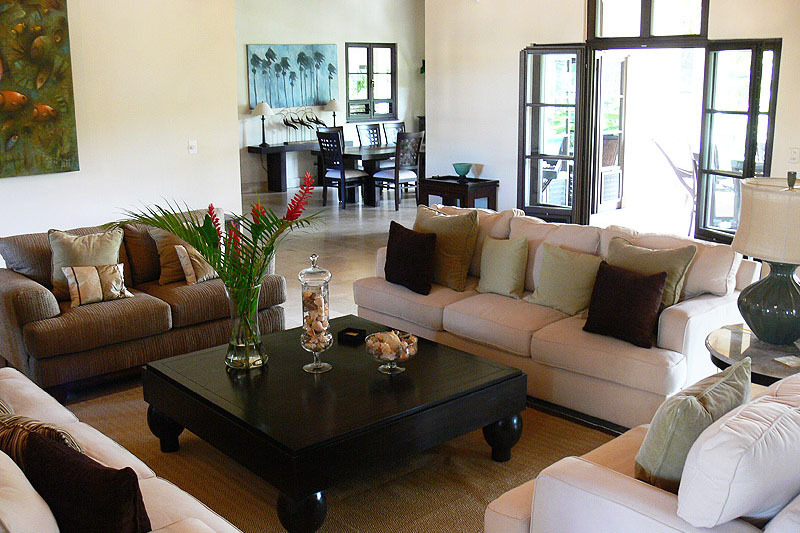 A state of the art audio/visual room, furnished with a sumptuous ltalian ” L” shaped couch and relaxing easy chairs, provides a sound proof and air-conditioned, indoor entertainment area. 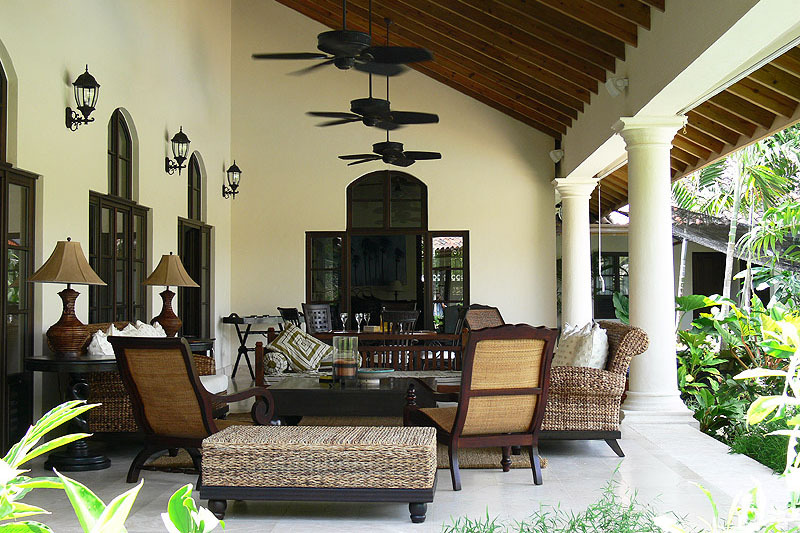 The terrace, living room and audio/visual room feature Bose speakers and a Boston Accoustics sound system. 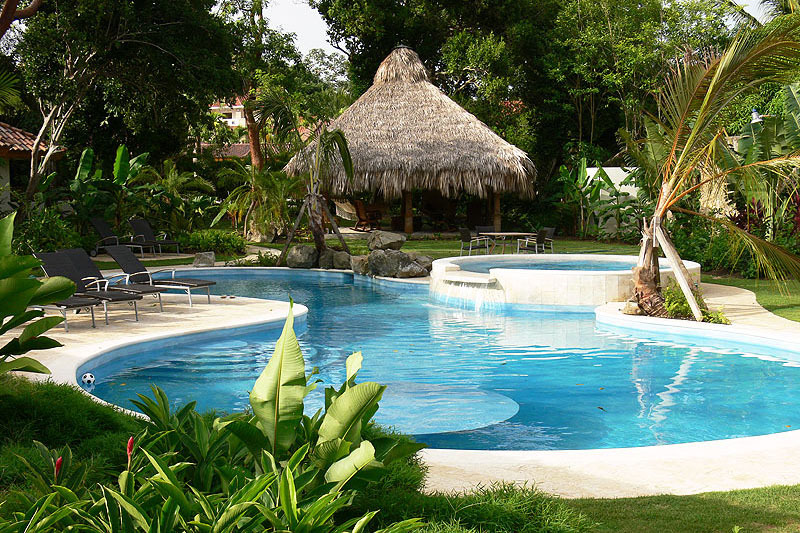 The 20m pool, with submerged basking platform, dive rock and large heated jacuzzi offers unparalleled fun in the sun. 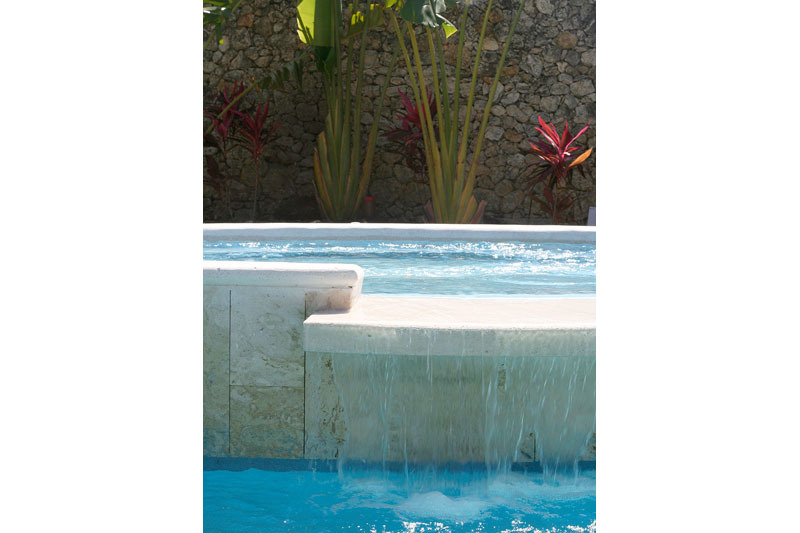 Lush landscaped tropical gardens unfold around the villa, in verdant splendor, with ylang ylang, heliconia, birds of paradise and palms of many varieties. 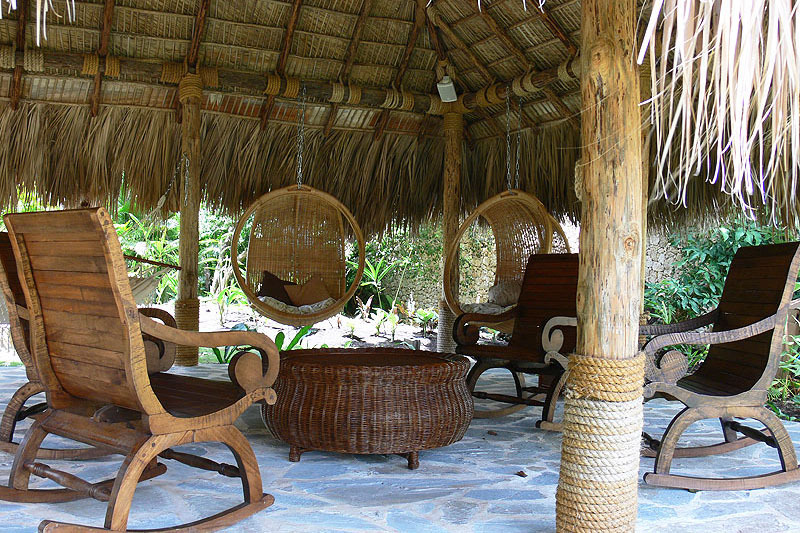 The thatch roofed pallappa, with plug-in i-Pod station is furnished with typical Dominican rocking chairs and hanging wicker pod-chairs – a fun and casual hang-out that is distinct from the colonial elegance of the main villa. 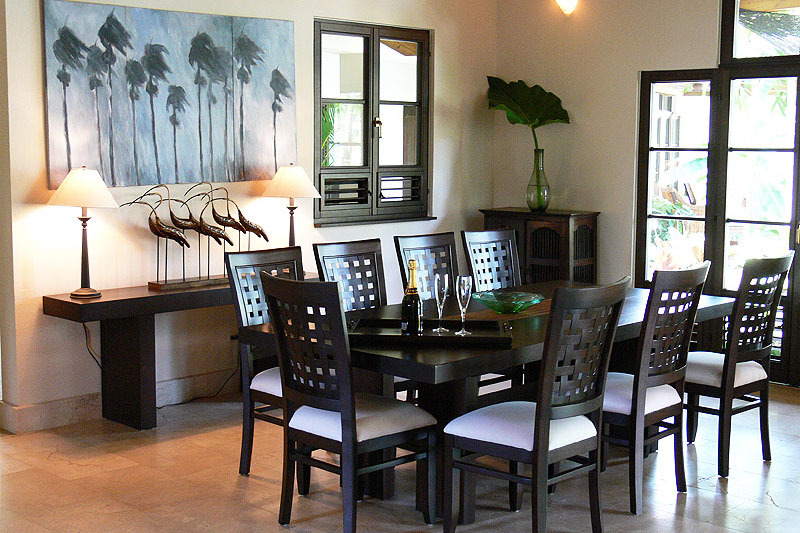 Inside the villa contemporary english design and fine local craftsmanship combine perfectly to create a beautiful and elegant atmosphere. 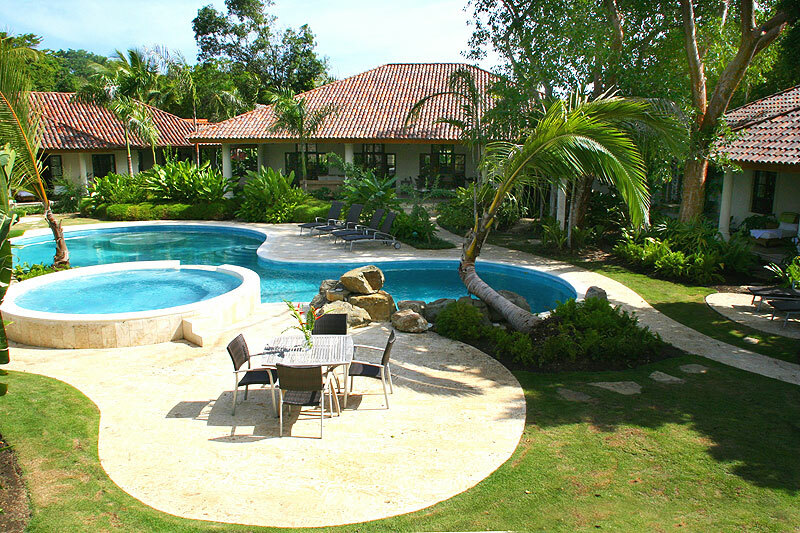 Casa Colonial is ideal for families, or a group who desire a thouroughly relaxing, sumptuous and stylish base from which to explore the region, or simply enjoy the villa, beaches and rock pools of Sea Horse, only two minutes walk away. 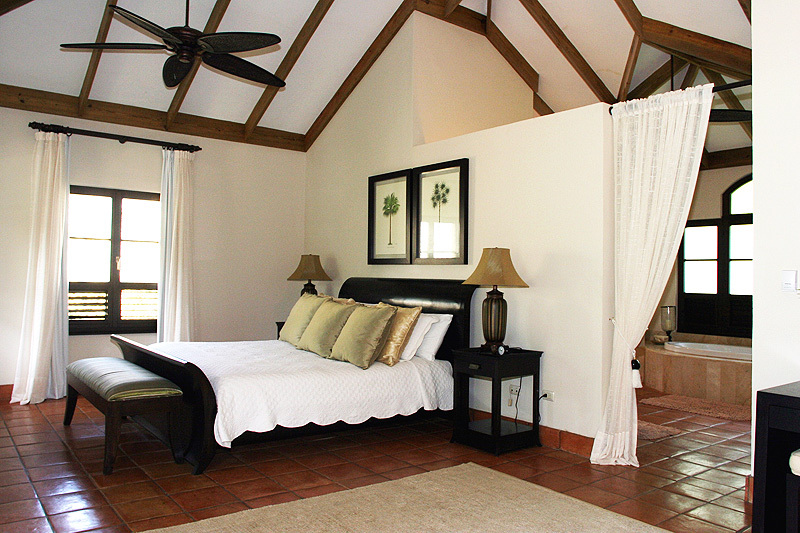 This is a world-class colonial style villa which will lift the spirits and feed the soul. 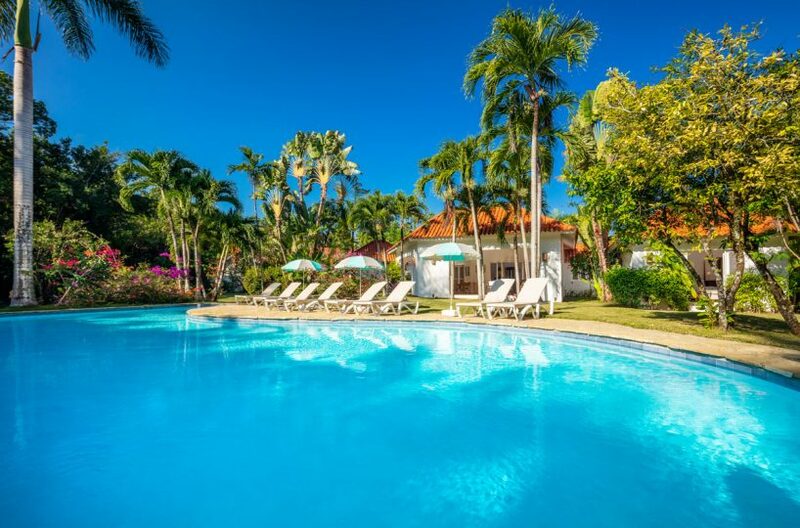 Get exclusive offers and Caribbean travel news straight to your inbox.